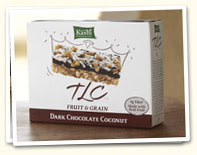 Go here to choose which free Kashi sample you want. Choose from GoLean Crisp! Toasted Berry Crumble cereal, TLC Dark Chocolate Coconut Fruit and Grain bar and GoLean Crunch! Honey Almond Flax cereal.